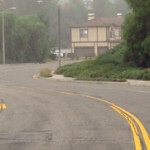 RKA Consulting Group provided professional engineering services for the preparation of striping design plans for Wheeler Avenue from Baseline Road to Golden Hills Road in the City La Verne. The striping plans were prepared in conjunction with a street rehabilitation project on Wheeler Avenue. Wheeler Avenue is a north-south minor arterial that serves residential collector streets as well as residential properties fronting on Wheeler Avenue. The design incorporated access and safety requirements for the collector streets, residential properties and an elementary school. RKA Consulting Group provided professional engineering services for the preparation of striping plans for Meadowpass Road east of Lemon Avenue in the City of Walnut. Meadowpass Road was originally planned as a four-lane minor arterial that connected Lemon Avenue to Amar Road. 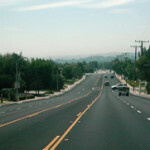 Construction of the roadway has been completed from Lemon Avenue to east of Pierre Road. The current use of the roadway due to the missing segments is that of a residential collector. Concerns about speeding led to the use of striping to narrow the traveled roadway to a two-lane road and provide parking for the adjacent residential homes.